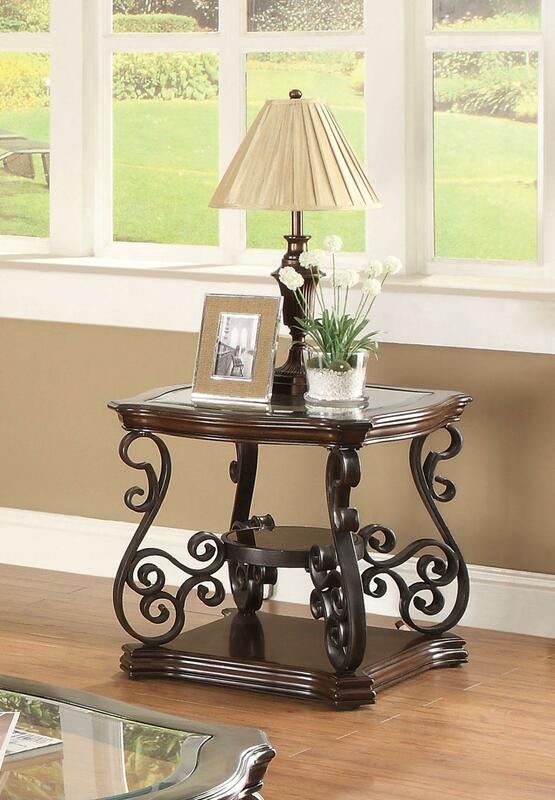 Ornate metal scrollwork, beveled wood edges and tempered glass tops make this end table an elegant showpiece for your living room. 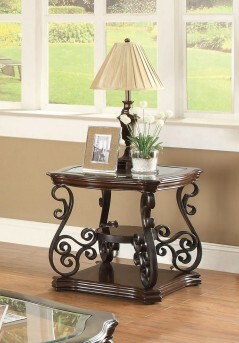 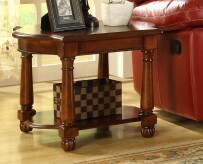 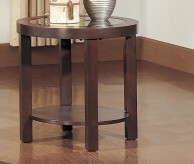 Furniture Nation is proud to offer the Mary End Table online. 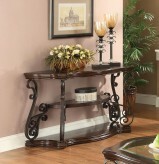 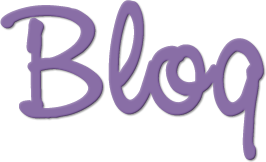 We serve customers across the DFW region including Grand Prairie, Fort Worth, Desoto and many more. 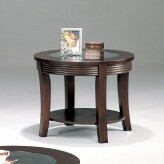 L26" x D26" x H24"